Save your time, money and nerves by NOT trading in the wrong time. Everything you need to know about the bad times for trading is here. It is very important to know when is the best time to analyze the charts and make the bids, but it is quite as important to know when NOT to trade currencies. Currency exchange market is known as the market that is open 24 hours a day, but this doesn’t mean you have to be up all day and night. Here are the times when it is better not to spend your valuable time on inactive market as it can result in lost time and increased risk and facing additional costs. Important thing to understand is that “thin” or inactive market not only offers less movement to profit on but also comes with higher spreads as the liquidity is lower. It must be noted that you CAN (in certain occasions) make money when there is little activity in the market, but the chances tend to be smaller and it is trickier. The activity usually slows down in the second part of Friday’s so you can also start preparing for the weekend. The reason for this is that the big players such as big banks and hedge funds close their positions for the weekend on Fridays. This is mainly done for security reasons as they don’t want to have their huge positions left open without sufficient supervision. The same applies to individual traders. The biggest “underwater stone” or trick of leaving positions open for the weekend is that bigger swings of the rates might happen creating a gap between the Friday’s closing rates and Sunday nights/Mondays opening rate. As this gap happens when the systems and platforms are not recording them – the stop loss orders might not be executed if the rates jump over the exact rate that was set as a stop by the trader. The “Weekend Gap” is why most of the traders do not leave their positions open over the weekends. 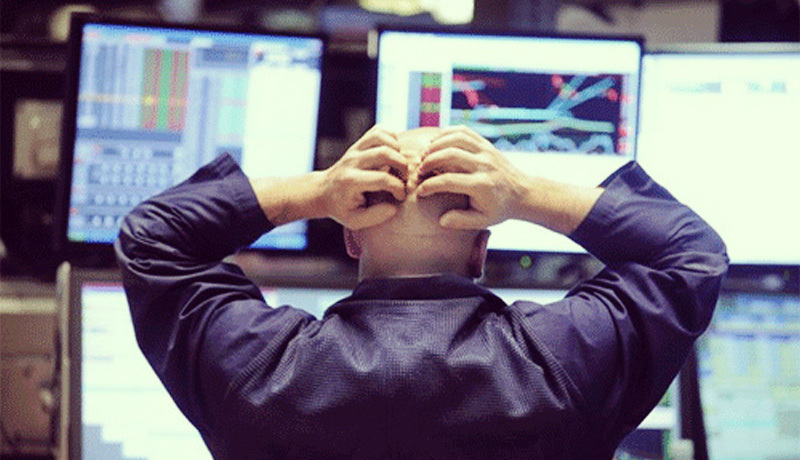 If one happens to be trading during Friday despite the risks of high uncertainty then the exact closing times of major markets (London, NY) must be monitored closely because at those closing times the rates and liquidity can swing wildly resulting in slips, high spreads and overall losses. One should avoid opening or closing positions when major economic numbers are released (Monthly employment reports of the USA, UK, etc., announcements of Central Banks, etc.) as these events can move markets in unpredictable directions and create risks if the news differ from the previous direction/sentiment of the overall trend. How to know if the news is big and important? There are Economic Forex calendars that show the upcoming events and their expected impact. It is useful to note the major holidays in the markets where you’re trading, as then trading and liquidity also can slow down. This especially applies to the UK and USA bank holidays. The amount of resources traded in the Asian market sessions are comparatively very low so the average pip movements are too low to cover the high spreads of the Asian currencies. This is the time when a lot institutional and Bank employees take holidays thus the volume of commercial transactions can fall during this time. World championships in Football, NBA or Superbowl finals, The X-Factor, etc. often create the same effects as holidays, so a TV program can also be a useful tool of a trader. And these events normally are not planned in the economic calendars. A golden rule that is fully understood only by seasoned traders is to avoid opening or closing positions during emotional moments – both happy and vindictive. Currency business is not for emotional decisions. Too many deals turn into losses when a trader thinks he is on a “wave” after a successful trade. The same applies to loosing – many become aggressive and thus make rash actions. The mind must be completely calm as you are trading. Many brokers charge extra fees for leaving the positions open during the nights (called overnights), so you must check if they are appropriate for you before opening a longer position.